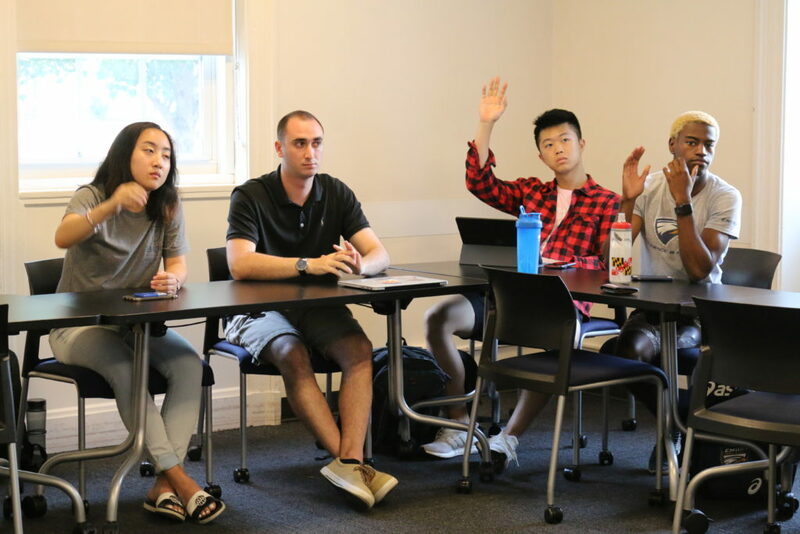 The 52nd legislature of the Student Government Association (SGA) convened for the first time this academic year to confirm the attorney general and several Elections Board positions. All proposed candidates were confirmed unanimously. The legislature approved Kaia Ordal (17Ox, 19C) as the attorney general. SGA President Dwight Ma (17Ox, 19C) said he and SGA Vice President John Priddy (19C) both vouched for Ordal, saying she was qualified for the position but they did not specify why. Ordal described herself as non-biased and said she was “always going to put the school first.” She has no prior experience in SGA. Former attorney general Elias Neibart (20C) and Elliot Ji’s nominations for attorney general (20C) were both voted down by the legislature last semester. When College Sophomore Representative Zion Kidd (21C) asked Ordal what the SGA Constitution states is the job of the attorney general, Ordal said she must represent the Emory student body, especially if there are constitutional allegations against Ma or Priddy. “If [Priddy] or [Ma] had allegations against them, then I would also have to be privy to what was going on with that and represent them as well. If, say, it was a matter of constitution, then I would have to put the constitution over them,” Ordal said. The SGA Constitution states the attorney general must be informed of the Constitutional Council’s activity, provide students information on SGA’s judicial procedures and advise and represent the SGA when cases are brought against it. SGA Chief of Staff Ben Palmer (18Ox, 20C) said he has “full confidence” in Ordal’s ability to fulfill the position. “I’ve known her to be thoughtful and smart, and I think this is a great role for her to fill,” Palmer said. SGA also confirmed Justin Cohen (20C) as SGA Elections Board Chair. Cohen said he assisted with registering more than 200 Emory students and faculty to vote during his freshman year. Cohen’s confirmation comes after a tumultuous Spring 2018 election season for the Elections Board, which received multiple complaints. Former Elections Board Chair Betty Zhang (20C) and Former Elections Board Vice Chair Andy Xu (20C) resigned immediately after the elections finished. The Constitutional Council had recommended that Zhang resign or be impeached. Yiyang Mao (21C) and Julie Park (21C) were both confirmed Elections Board vice chair and treasurer, respectively. Stephanie Perkins (17Ox, 19C) and Hanne Enlow (21C) were both confirmed as Elections Board commissioners. CORRECTION (9/10/18 at 9:03 p.m.): A previous version of this article stated that Ben Palmer is in the Business School. In fact, Palmer is a student in the College.